HostPresto! 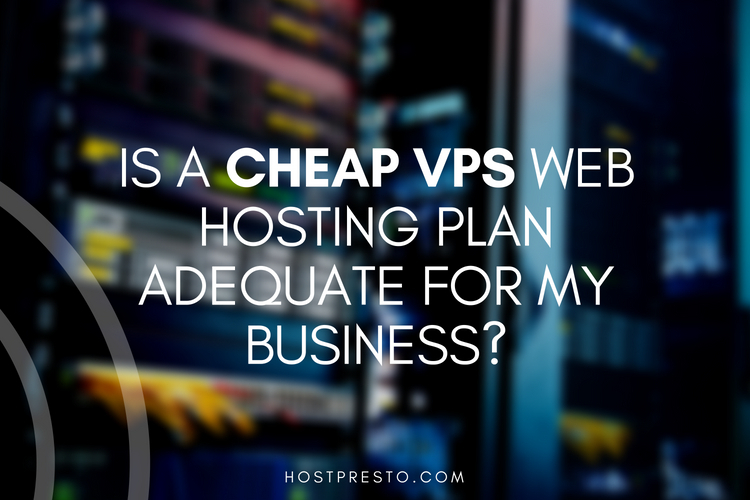 > Blog > Is a Cheap VPS Web Hosting Plan Adequate for My Business? When it comes to launching your website, there are few things more important than choosing the right hosting strategy. With so many different web hosts out there and countless packages for small businesses to large corporations, it's difficult to make sure that you're getting enough power for your company - without overspending. 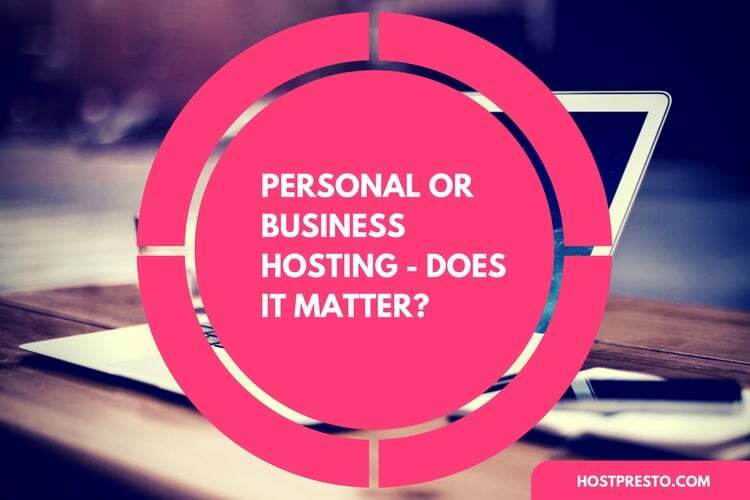 Shared hosting: Your shared hosting environment means that your hosting account sits on the same server as other hosting accounts- usually in a similar area to you. This is often the most common hosting plan for smaller companies on a budget. If you don't need huge amounts of space to keep your company running smoothly, then a shared hosting plan should be fine for you. VPS: Virtual private servers, or the "VPS," is the next step up from shared hosting. It's basically a physical machine that's had its resources split into various virtual servers. Each user gets the experience of being on their own dedicated server, even if they're sharing resources on a machine. If you need a little more support for a high-traffic website, or you need to run web-based applications, then a VPS might be better for you. Dedicated servers: Finally, the dedicated hosting solution offers a solution where you get all the computing power of a server entirely to yourself. Obviously, it's generally the bigger companies and websites that need this level of hosting. Dedicated servers are perfect for larger businesses with high levels of traffic and a lot of server load. The most obvious benefit of choosing a cheap VPS hosting plan for your company is that it can save you some money on your digital strategy. With a VPS, companies get a server with a range of scalable resources, including RAM, CPU, and disk space which can be adjusted to meet your specific needs. Essentially, you get most of the power you'd expect from a dedicated server for a cost that doesn't weigh as heavily on your business bank account. In comparison to a dedicated server, the power to cost equation is often much better for a cheap VPS hosting platform. Dedicated servers definitely have their own advantages to offer, but a VPS provides businesses with a more pay-as-you-go approach to managing their needs. Many of the costs involved in using a dedicated server are shared amongst users in a VPS, so the end user gets to benefit from bigger savings. Much more stability and reliability than standard shared hosting. More flexibility when it comes to customising your environment - this wouldn't be possible on shared environments because a single change would affect the rest of the people sharing the host. Scalability: Because you're running a virtual machine, you don't have much of a problem when it comes to scaling what's available to you. There aren't many downsides to VPS hosting. Although it costs more than shared hosting, it's also a lot less than a dedicated server. The best way to think of it may be as a mid-tier option for your hosting, with high-level scalability and flexibility. Additionally, because you have more configuration power with a VPS server, there's a chance that you might accidentally remove software or files that are crucial to your company without realising it. With that in mind, it's often useful to learn about VPS hosting before you start using it. Is a Cheap VPS Hosting Plan Right for You? Ultimately, if your business website is too big or popular, or the resources that you plan to use for your online company exceed the capabilities of a shared hosting environment, then the best thing you can do is move to a VPS hosting plan that's as cheap, and low-maintenance as possible. While it might not give you all the freedom of dedicated hosting, you can get a lot more functionality out of a VPS than you would expect. Even if you can still get by on shared hosting, it's generally a good idea to move to VPS hosting as soon as you start to see more traffic coming to your website. Just make sure that you double-check the details of what you're signing up for so you can ensure that you're getting the resources you need.